A Scout-O-Rama is a huge, interactive, hands-on "Scouting Experience" or "Scout-Con", where individual Scouting units — Cub Scout Packs, Boy Scout Troops and Venture Crews — create and operate an activity or display booth, to give the general public a sense of the excitement and adventure of Scouting. Units develop the idea for a hands-on activity that would give visitors a chance to actually "do" Scouting — whether it be learning how to make ice cream in coffee cans, pinewood derby racing, climbing over a lashed rope monkey bridge, learning knot tying, flag folding, arts & crafts, playing games or finding out more about how to cook a meal using no pots or pans. All this, and so much more, could be the focus of a unit's Scout-O-Rama display booth. Where & When will it be held? The cost is $7.00 per person. Scout Units will develop the idea for a hands-on activity that would give visitors a chance to actually "do" Scouting — whether it be learning how to make ice cream in coffee cans, demonstrating knot tying, flag folding, arts & crafts, games or finding out more about how to cook a meal using no pots or pans. All this, and so much more, could be the focus of a unit's 10' x 10' Scout-O-Rama display booth. What Should Our Unit Do At Scout-O-Rama? The sky's the limit as to what your unit does as your interactive, hands-on activity during Scout-O-Rama – but, remember, make it something that youth, ages 6 to 20, and their families would want to do, and probably could not do, except at Scout-O-Rama. Take a look at our list of activity ideas, and choose one! Why Should My Unit Participate? Sign Up your Unit Today!! As a primary purpose, this event is intended to be a fun day of Scouting activities for the whole family, and the general public have the opportunity to see Scouts in Action, and get a sense of the excitement and adventure of Scouting. 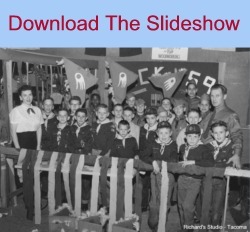 Back in the 1950's, 1960's and 1970's, a Scout-O-Rama was held every year, attracting thousands of Scouts and members of the general public. 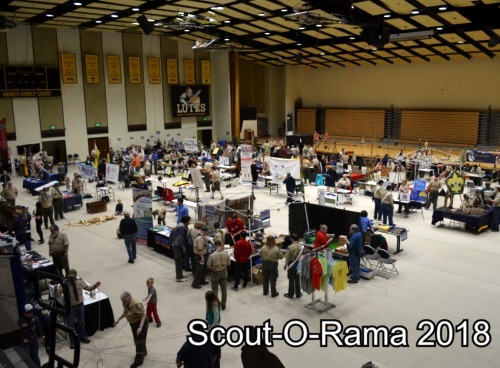 We are hoping to recapture that level of energy and interest that drove the Scout-O-Rama movement for over 25 years. 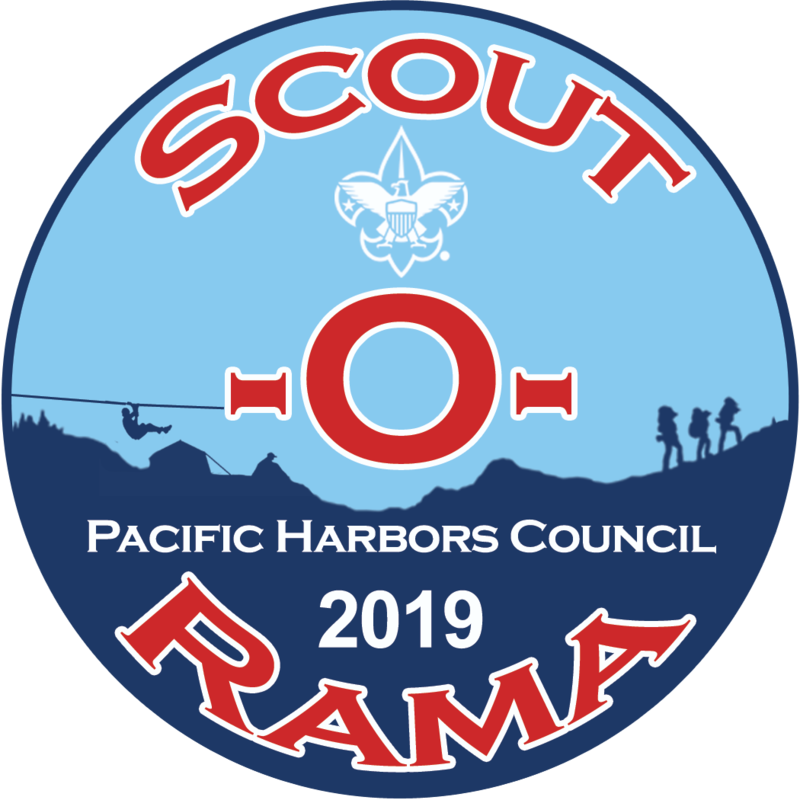 The Pacific Harbors Council conducted an interest survey in August, 2017, to determine the level of interest in a Scout-O-Rama. 400 people responded to the survey (121 Cub Packs, 190 Boy Scout Troops, 12 Crews and 58 others), and the results confirmed that there was sufficient interest in holding this event. What Does a Participating Unit Get With Their Booth? Scout Unit display booths cost $25 each. This fee helps to defray the cost of producing the event. Each unit display booth will receive 5 admission tickets. Your unit will be provided with a 10'x 10' sized "booth" inside the display area. Units are responsible for providing your own tables and chairs. If your interactive activity requires electrical power, a $50 fee will apply. If you prefer an outdoor display area, please indicate that on the Scout-O-Rama signup form. Bring your own power cords. 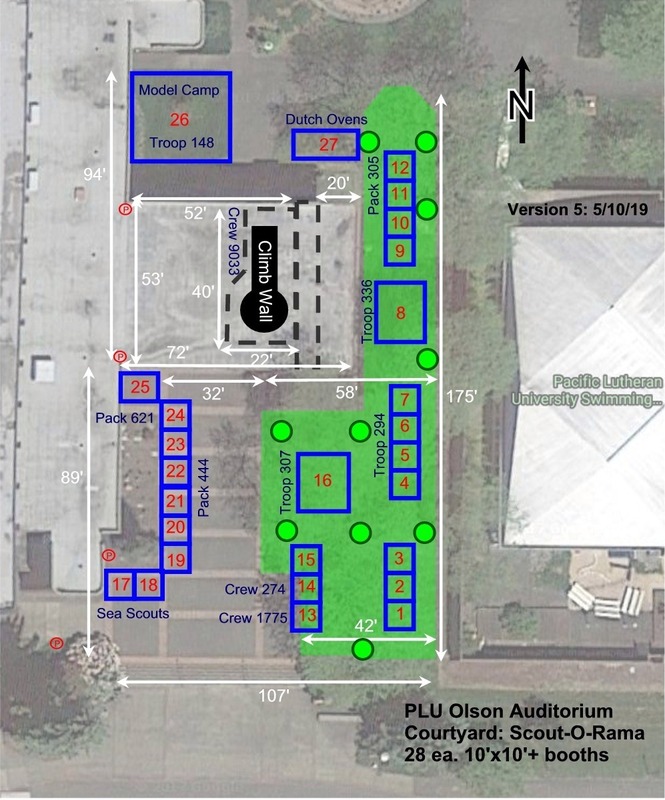 Set-up for unit Scout-O-Rama booths begins at 7 AM on Saturday, May 11, 2019. We ask that you be ready for the public to arrive by 10 AM. Teardown can begin at 4:05 PM and must be completed by 6 PM. NO CAMPING. 1. Scouts are under the leadership of their unit and its leadership at all times – communication between the staff leadership and the units will occur between adult leaders. 2. Scouts are expected to live The Scout Law and the Scout Oath during their time at Scout-O-Rama – they represent our program to the public at all times – Leaders, please discuss their responsibilities as Scouts prior to the event. 3. 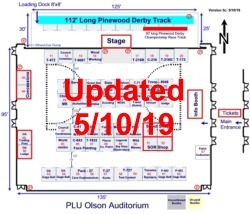 Participants are expected to be in complete Class A Field Uniform throughout the day on Saturday when the public is invited to attend - please ensure your leaders and Scouts are aware of this. 4. Fires or open flames are prohibited at Scout-O-Rama. Charcoal briquettes for Dutch Oven cooking is allowable with prior approval by the Event Chairman. 5. Power tools must be handled by adults only and only those adults with complete knowledge concerning the safe handling of power tools.